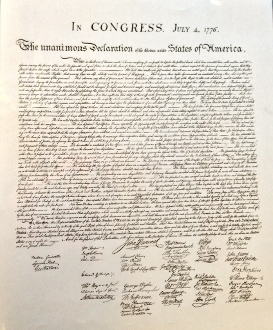 Large size Declaration of Independence. This Declaration magnify's the beauty of this document for all your students or guests to see. We have made this in white, so it blends in with the velum overly used for the "resigning".